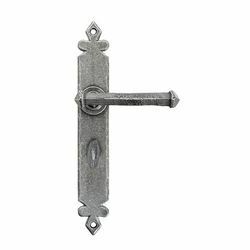 Pewter Tudor Handles. Supplied in all door handle variations. 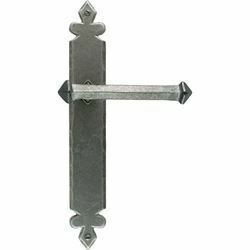 The Tudor Lever is part of the Tudor Lever Handles range by From The Anvil. 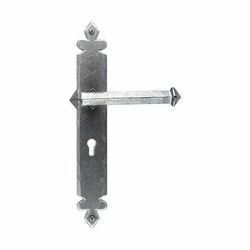 An authentically designed Tudor locking handle with a long decorative backplate and a angled handle which is pointed at either end.